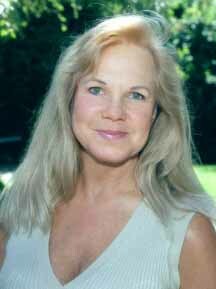 For over 30 years Gayle Bradshaw has been involved with alternative health care. Raising 4 children as a single parent she became her own "family doctor". Alternative health care, for her is more than a belief system its a way of life. She received her Colon Therapy Certifications from: "Internal Environment Institute", - Los Angeles, CA; Dotolo Research Center- Florida and Specialty Health - Arizona. Member of I-ACT. Gayle has worked with hundreds of clients and prides herself on the quality and cleanliness of her office. How does the client benefit today? Gayle not only helps her clients release toxins from the body, but she can assist her clients in releasing the emotions and traumas that are held within the tissues and organs of the body. During a session with Gayle, you can expect dietary guidance, massage, and the loving and warm presence of her touch, as she helps you detoxify and release in a safe, secure and comfortable environment. You will love how she cares for you!